It doesn't really happen every day that I find myself in front of two giants of the fashion word I so much admire. Thanks God sometimes it does and we have to thank Selfridges for this. 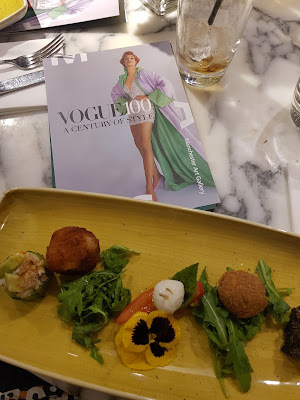 To celebrate 100 years in the industry of the undiscussed leader in fashion publications, Vogue, the Manchester Gallery is proudly hosting an exhibition (seen at the National Portrait Gallery first) to celebrate a century of fashion, photography and style. Selfridges Exchange hosted a very exclusive event to celebrate Vogue 100 and the special guest was a true legend for all us fashion addicted. 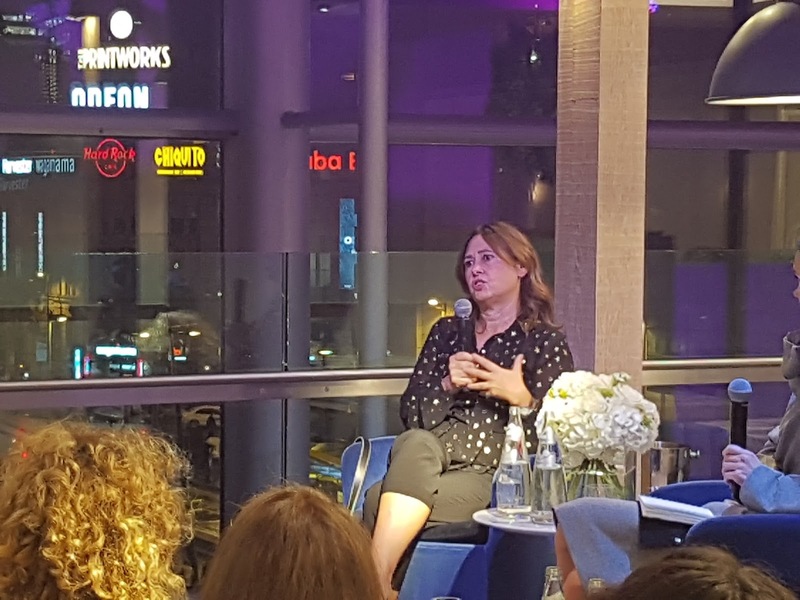 We are talking of course of the magazine's Editor In Chief, Alexandra Shulman. It was one of those night I had to pinch myself few times to make sure I wasn't dreaming it all. 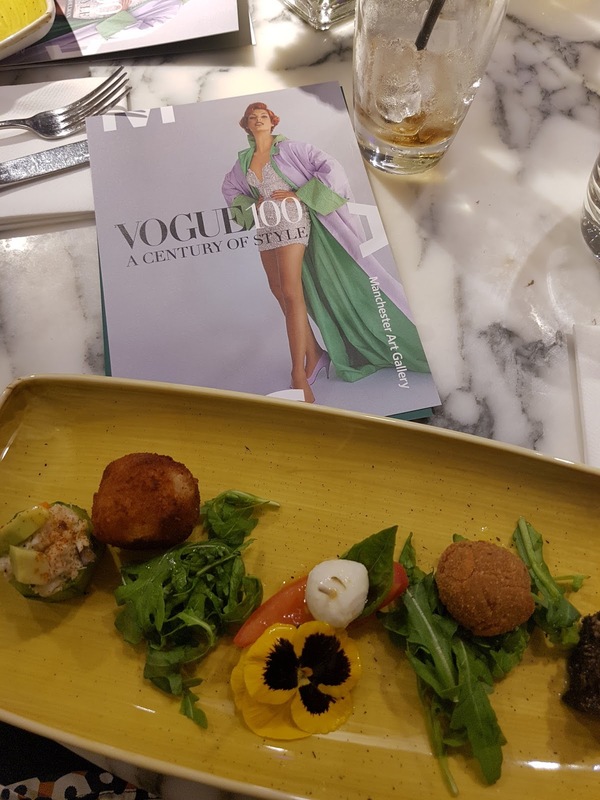 Here I was in San Carlo Restaurant inside Selfridges, sipping prosecco and enjoying delicious canapes, waiting for Alexandra to come. She was interviewed by another fashion legend who is Jo Ellison, fashion editor for the Financial Time. 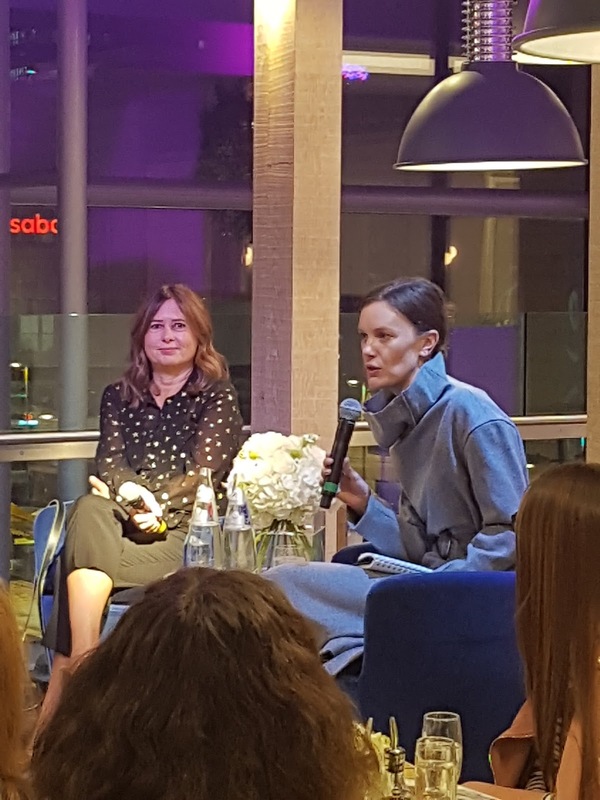 It was an incredibly interesting an inspiring Q&A session, talking about important topics as where fashion is really heading, importance of social medias and how Vogue is embracing the digital era and how the magazine is seeing itself in the future. 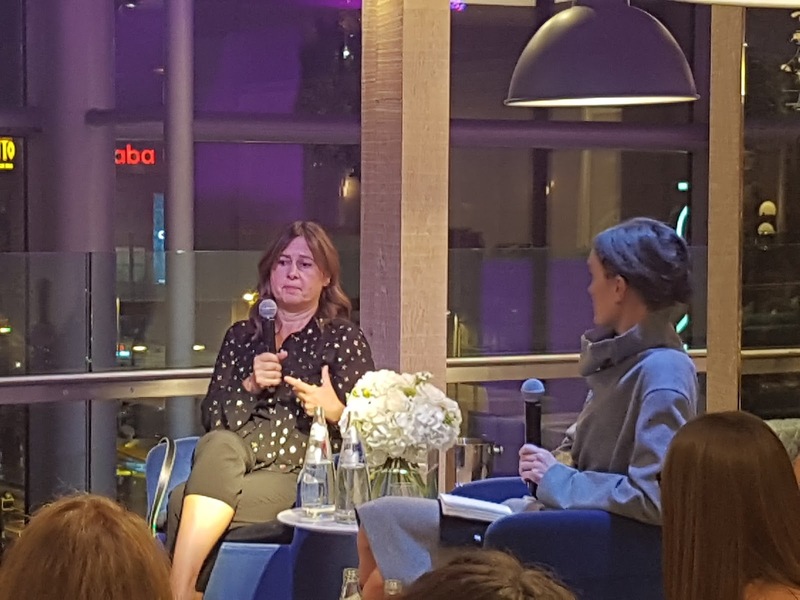 It is hard to stay competitive when everything now goes so fast on digital platforms, but it was evident, from what Alex said, how Vogue keeps its sense of glamour into these days where street style and social media dominates fashion. 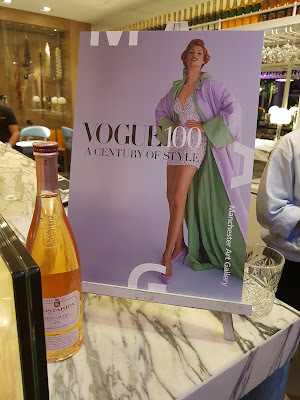 What Vogue does is telling stories. It doesn't just use beautiful clothes on gorgeous models to promote a brand, but chooses people that have something to say, in terms of life, style and personality. Victoria Beckam and Kate Middleton covers are legend, not for how they looked but for what these women represent: quintessential British style, elegance, identity. It's not about showing something beautiful, it's more about talking about something people will find interesting. 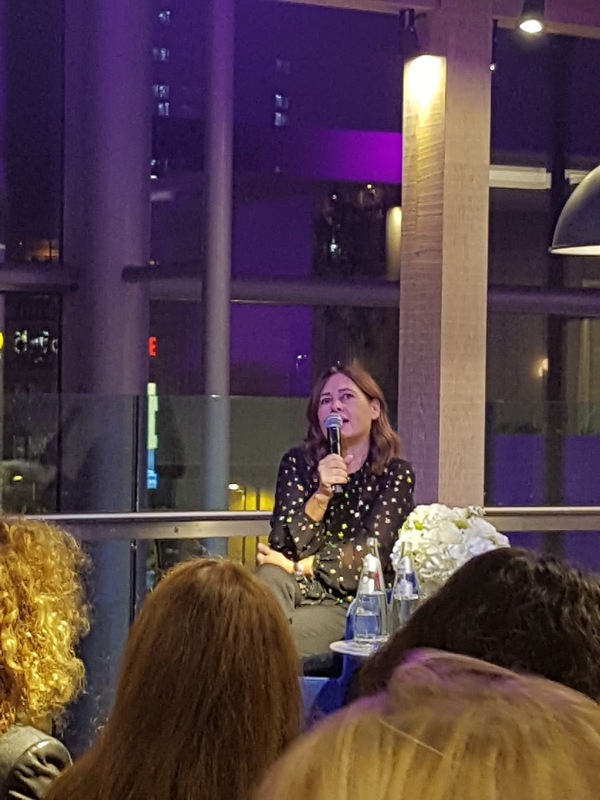 It was an incredibly inspiring night and it could have not been in any other place than Selfridges, temple of Manchester Fashion scene. Thank you so much to Alexandra Shulman and Jo Ellison and of course to Selfridges, we should do it more often!! How are you today? All ready to settle into winter? I totally am, it's duvet and The X Factor season after all! 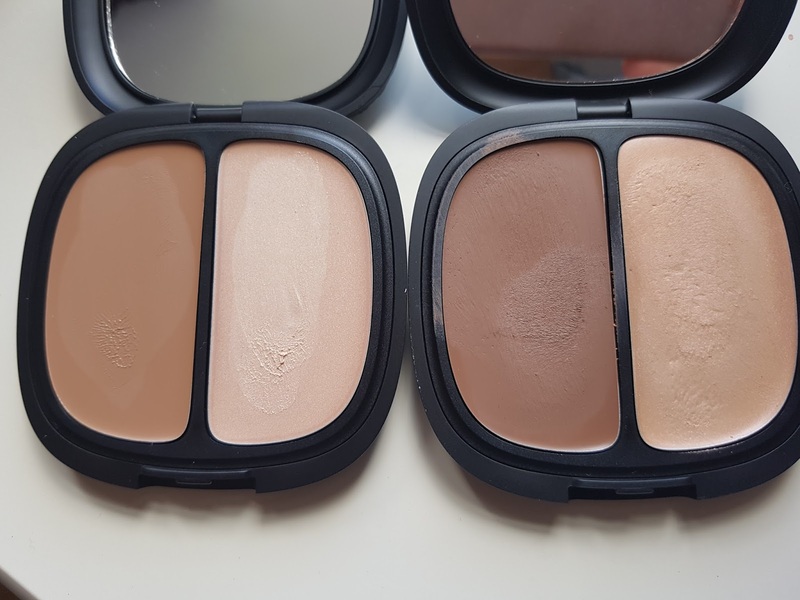 All the winter make up collections out there are incredibly good this year and I must admit autumn/winter is my fave season in terms of make up, probably because spring/summer keeps having the usual pastel/bronzer/glossy lips look every single year. My first haulage into this fall make up had to be from Kiko Milano...what a surprise! 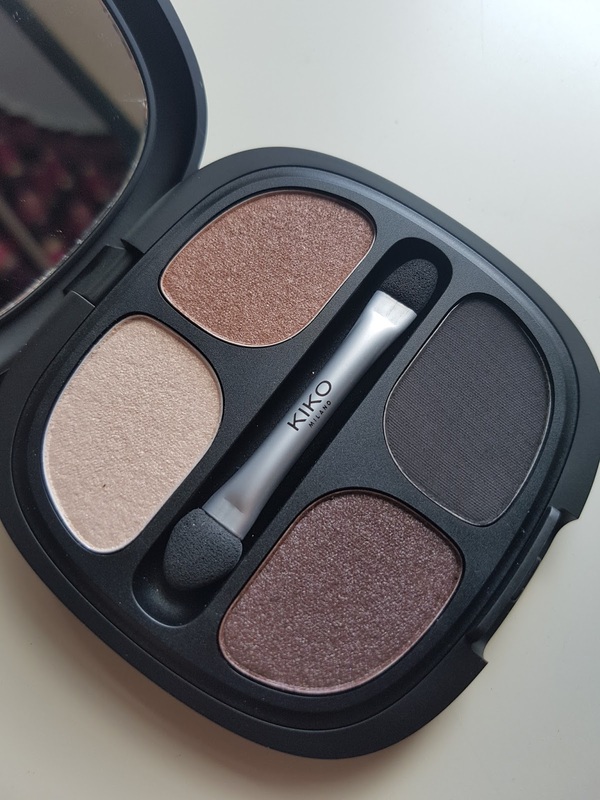 I don't care I already own 3/4 of all the Kiko products available, tell me there is a new collection, I will be in the shop one hour later, basket full. The packaging of the Neo Noir collection has been designed, as the summer one, by Ross Lovegrove. Once again we have sleek and posh cases, minimal lines and very elegant bottles, all in the deepest satin black ever. I got the two contour palettes, one of the eyeshadows palette and the contour brush. I must admit I would have liked to try the foundation too but at the moment I have got so many bottles of foundation to finish that I managed to stay strong and leave it. (...for now, cannot guarantee how long this savy shopping is gonna last). Let's talk about the Contour Duo Brush. Oh. My. God. (insert Janice voice here). 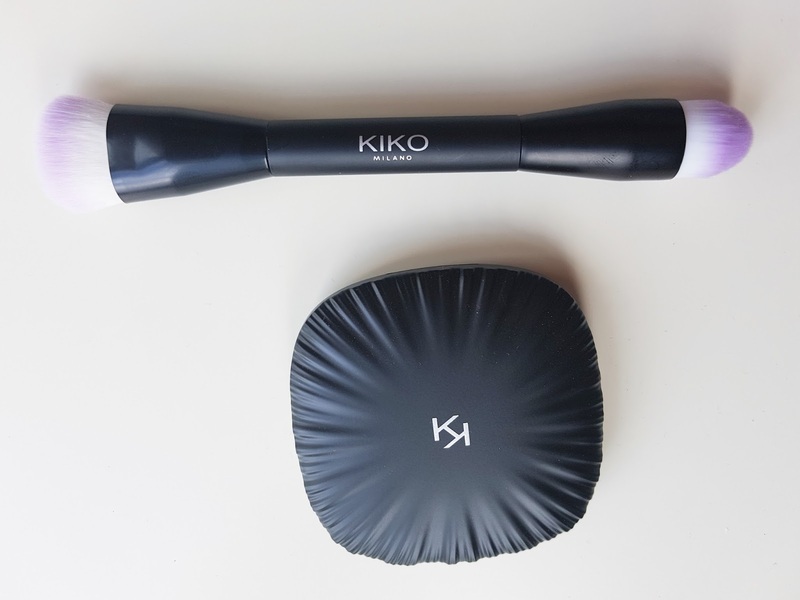 If you like to use cream products for contouring or strobing, you need this brush. 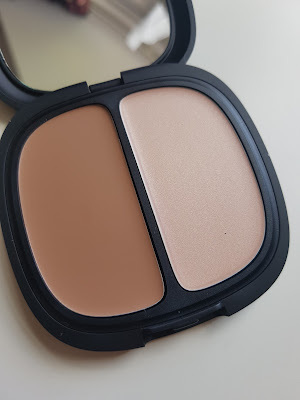 It makes the application and blending process incredibly easy. It is dense but soft and it's 100% synthetic. 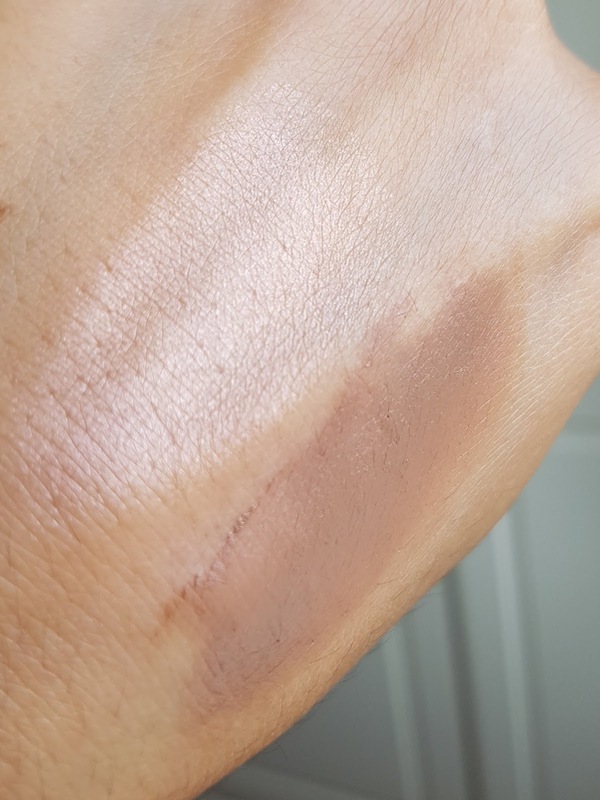 With the short end I apply the dark shade, pressing a bit to blend it, whilst I use the pointy end to apply the highlighter. It can be used to apply cream foundations and cream blushes too and it is available in purple or pink. 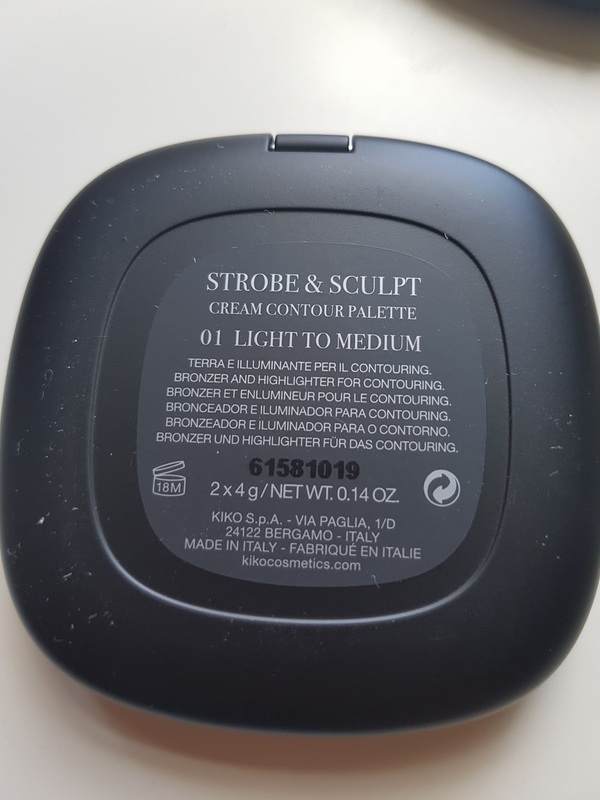 I have few similar brushes but this is the best in terms of final results, most of all if you use it with the contour palettes from the same collection. I got both the Strobe And Sculpt Cream Contour Palette. 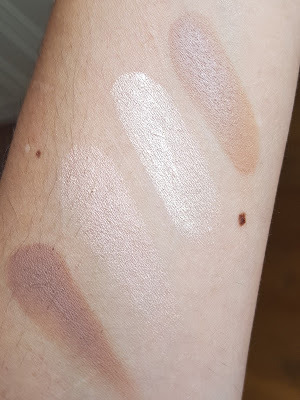 I just could not decide in between the two available shades. 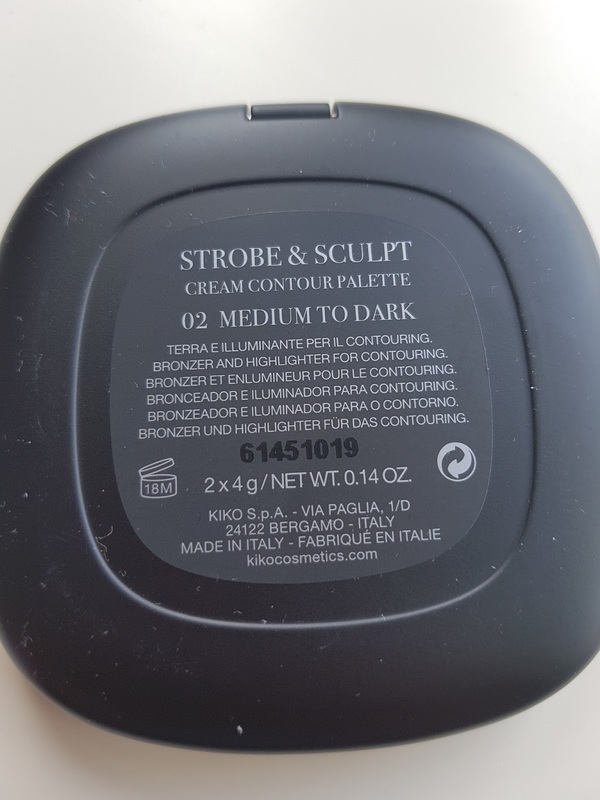 Palette number 1, light to medium, has a brown contour shade plus a champagne cream highlighter. Despite the dark shade looks brown in the pan, once you blend it, what you have really is a taupe shade, that I personally prefer for contouring, especially for fair skin. 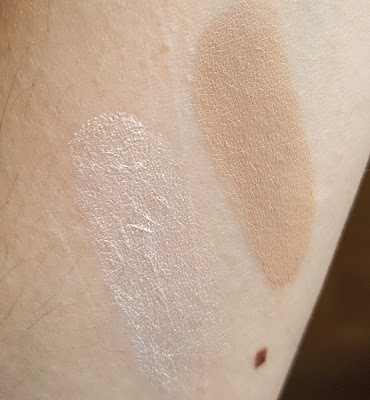 I find the taupe shade gives a better effect in terms of shade (which is the real sense of contouring isn't it?). Palette number 2, Medium to Dark, has a slightly darker brownish/taupe shade and a more peachy highlighter. 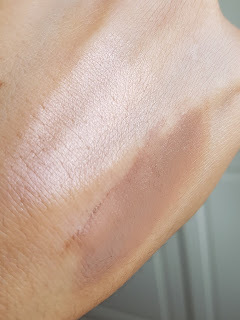 If you love pinkish-peachy reflex for your strobing, you are gonna love this. It is incredibly natural but gives a intense healthy glow. Here are the two palettes one close to the other and all the swatches, so you can do a better comparison in between the two. 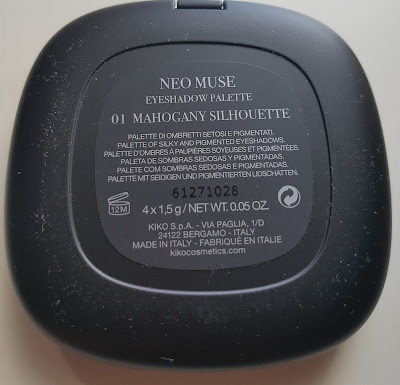 Last but not least, I got the Neo Muse Eyeshadow Palette in 01 Mahogany Silouette. 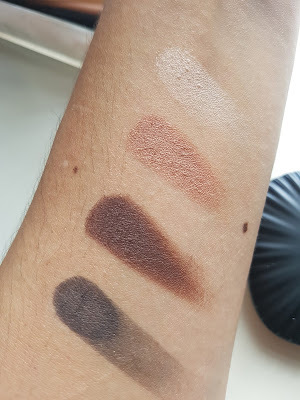 I really did not want to buy another eyeshadow palette, especially one with brown/nudes shades, but what made me change my mind was the texture of the shadows. 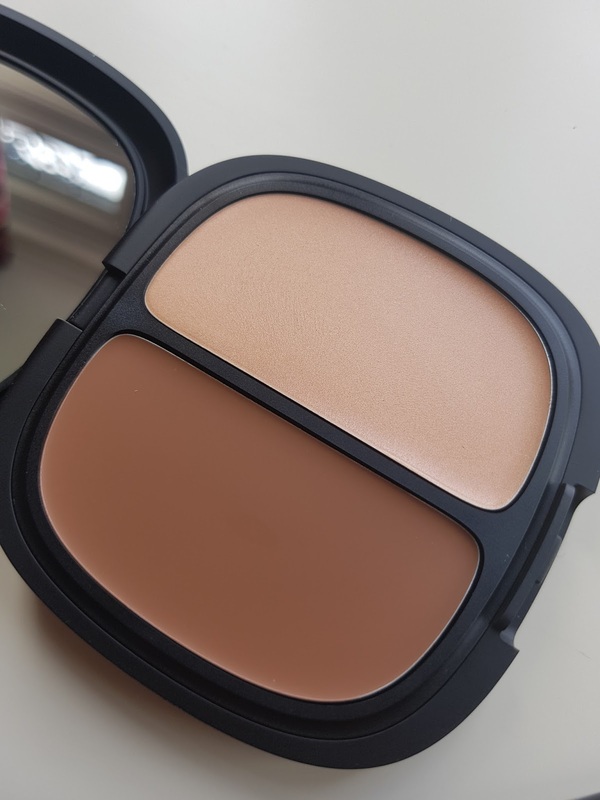 This is one of those hybrid formulas in between powder and cream, that's why a sponge applicator works better than a bristle brush. 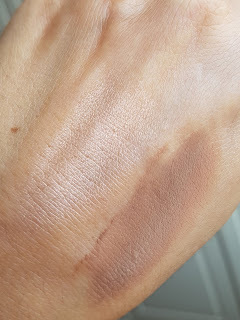 All the shades blend nicely in a velvet finish, I am absolutely in love with this texture. 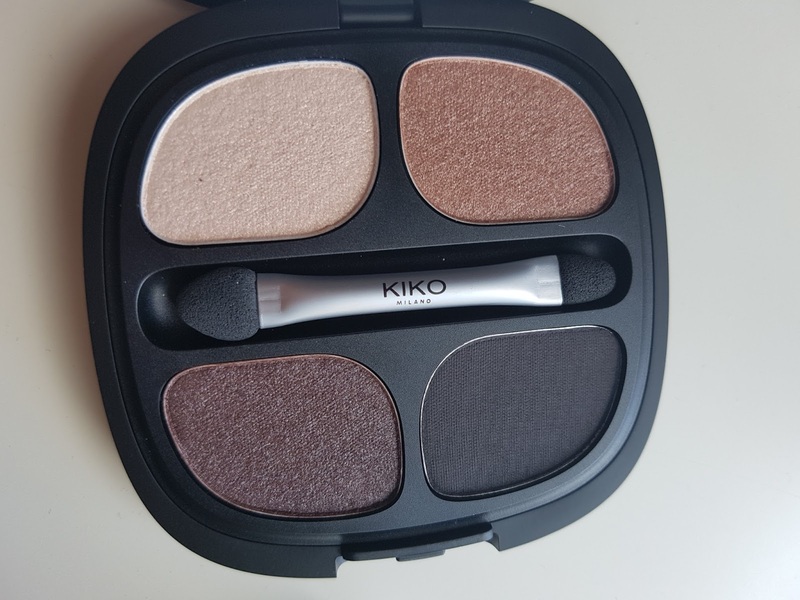 My fave shade of the palette is the dark brown, it has all kind of brownish/reddish little shimmers, perfect for fall I dare to say! Overall I really liked this collection, I think Kiko really got the autumn/winter wibe choosing the perfect shades and textures. Now I cannot wait for the Christmas collection...yes, I said it, CHRISTMAS!!! !